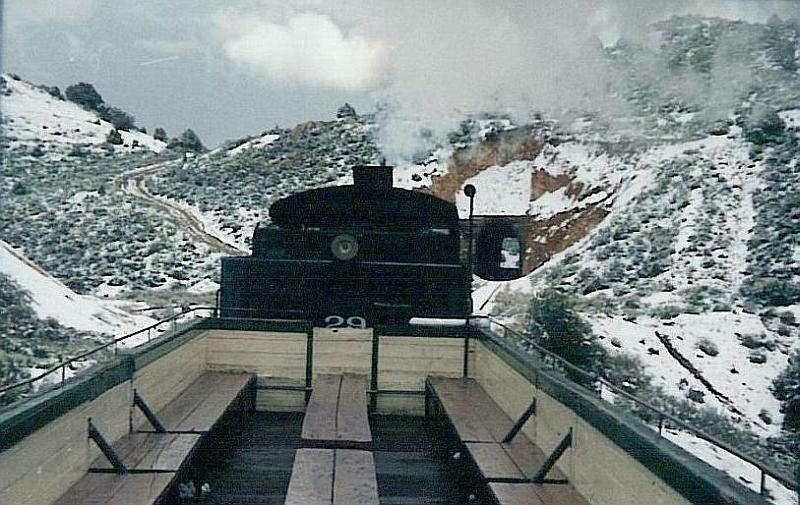 The Virginia and Truckee Railroad that’s been running up in Virginia City for the last 30 years has two steam locomotives. 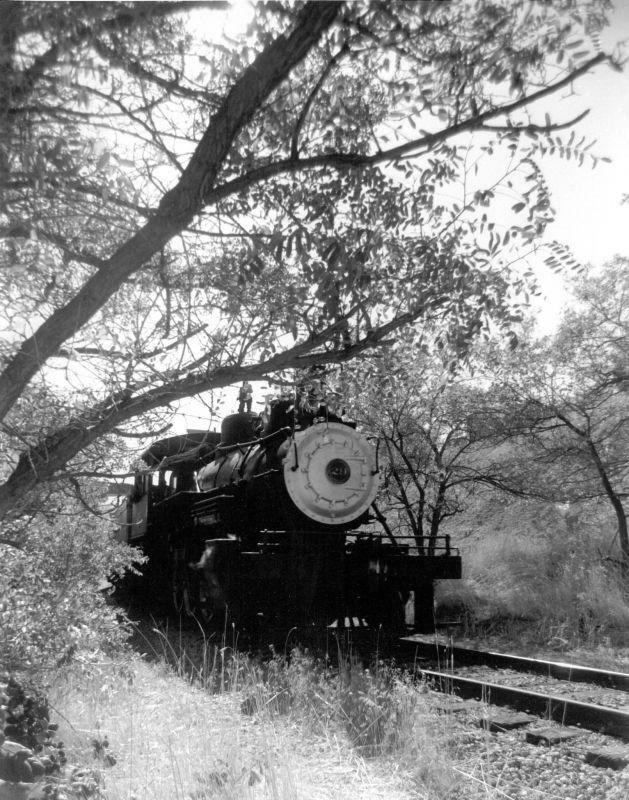 At first they only had one, Locomotive #29, a 1916 Baldwin. But then, I’m not sure exactly what year, they acquired Engine #8. And it’s a good thing for them to have two because when one breaks down or has to be overhauled, they can always use the other one. At least, that’s the way it was during the 1990s. In 2003, both engines were in bad need of repair at the same time. So the railroad managed to get its hands on a surplus diesel yard switcher, and used that to pull the trains while the steam engines were rebuilt. I wasn’t thrilled with the idea, but it was only going to be a temporary situation. The overhaul of engine #8 was supposed to take a few months, and #29 “about a year”. 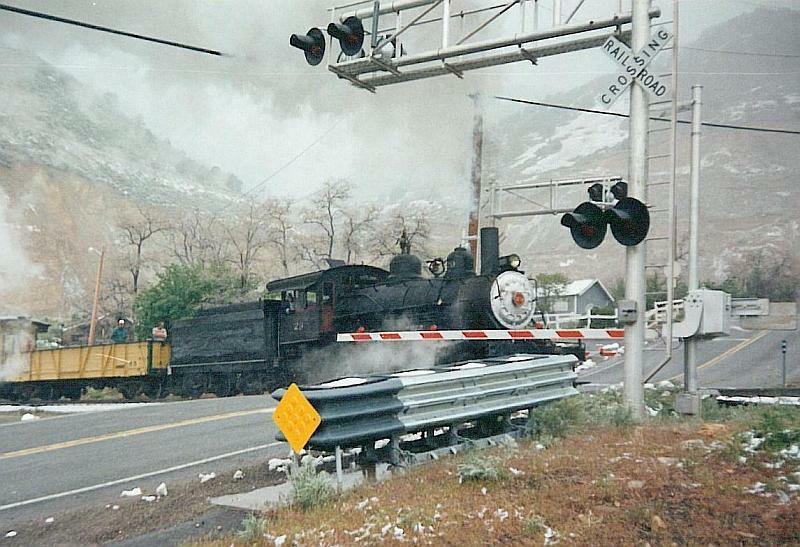 Here we are in 2006, and the railroad is still running solely on the diesel engine. At least, that is, until this summer! 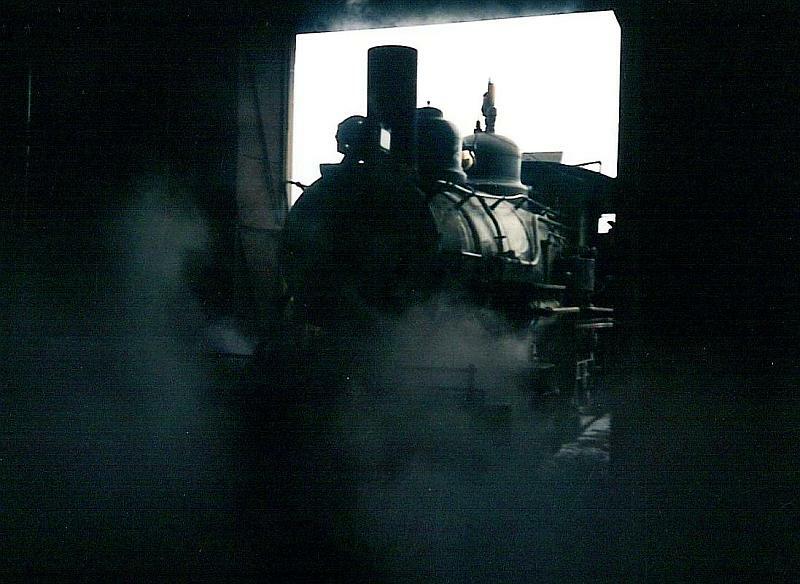 The news just came out today that #29 is out of its overhaul and ready to run the rails again starting in May. This is some good news, first of all because there will be a steam engine running again after four years, and second of all because #29 is the one that gets to come out of rehab first. It’s my favorite of the two. So to mark the occasion, I pulled out this picture I took for a college class. I think it’s still one of my best. 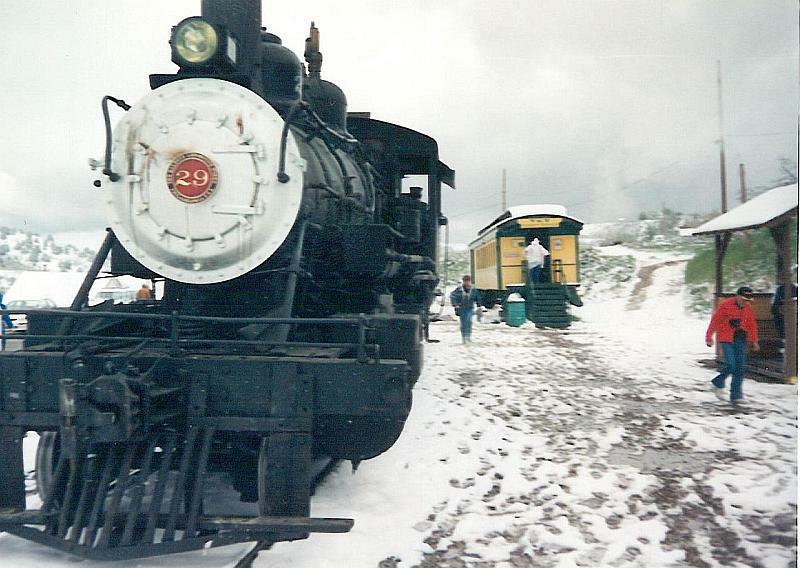 And here’s a few from a snowy day in 1995 when I went up to ride the rails. It’ll be good to have #29 back.